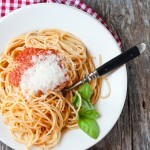 A dish of pasta, a good deal of intense red and glossy tomato sauce, a generous sprinkling of freshly grated Parmesan cheese on top and some basil leaves, a charm to give that extra balsamic touch to turn a simple dish of pasta into a memorable dish of spaghetti, a dream come true for many foreigners passing through Italy. Someone will fall in love with the incredible food tasted in a hidden restaurant, someone with the white country roads, someone else with smiling deep brown eyes, another one with the magnificence of the ruins of ancient cultures, someone will eventually decide to stay. The others will go home bearing in their hearts a warm and happy feeling due most of the time to what they’ve seen or, more often, eaten and drunk. Why foreign people are so fascinated by the Italian gastronomic culture, or rather, by the Italian food? Yes, let’s keep it simple, not grand theories and systems, but what will concretely be in the plate in front of their eyes, with that good smell that evokes many memories, all different but all equally comforting. I have often asked this question: I found the answer a few weeks ago during a cooking class with some people from Los Angeles. I was holding a class on fresh pasta making and I lost control of the situation, so following the enthusiasm we made ravioli with butter and sage, spinach and ricotta dumplings and a zucchini risotto. We had also some leftover fresh pasta, so we made some fresh tagliatelle, served with a tomato sauce made on the spot: just sweet and juicy tomatoes, fresh garlic and basil. A gentleman approached me and told me that he really liked the tagliatelle, that he had never tasted anything so fresh, light, where you could recognize all the flavors. There I had the light. Maybe foreign people appreciate Italian food so much for the freshness and quality of the ingredients, for a cooking procedure that respects the raw materials and enhances their quality. That’s why a dish of spaghetti with tomato sauce is so appealing, to foreign people and to Italians, too, to tell the truth. I do not want to mention just stereotypes, or just glorify in all and for all the current panorama offered by the Italian food… but this is the answer that came to my mind, perhaps simplistic, but certainly related to the expression of bliss painted on the faces of many tourists in front of a dish of spaghetti with tomato sauce. What do you think? Do you like Italian food? And if you do, what do you find of so fascinating in Italian food? But now, eventually, the protagonist of this so fascinating Italian spirit, the pomarola, a tomato sauce made with many vegetables, the first recipe of a week completely dedicated to tomatoes! 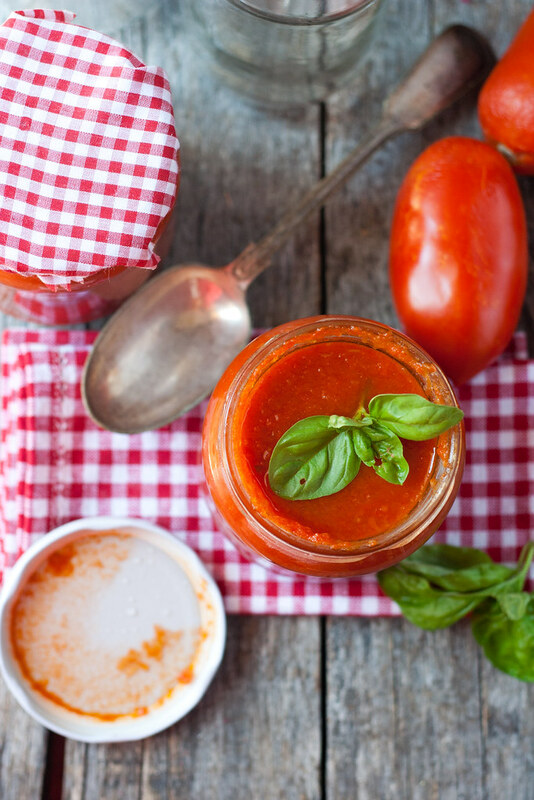 Paula’s sauce, made with 5 basic ingredients for an exceptional result. My theory is the simplicity of the food: presentation, flavors, not an abundance of ingredients are all very casual and comforting. You don’t need a gastronomy degree to discern the taste of a good tomato. It’s right there…you can’t miss it. When I first moved to Italy and started cooking, it scared me. I was used to doing tricks, using techniques to enhance flavors; here I had to cut back and trust that the flavor would be there. Now when I go back to the States, it’s no wonder there is a dependence on over salted prepared foods..the ingredients lack flavor. Maybe that’s part of the passion for Italian food? The ingredients still have flavor. We’ve been eating plums this week that are crisp, tart and sweet all at the same time. I’ve been cheating..and eating more than my share! For me, that is the beauty of food in Italy. Judith, I really appreciated your comment! I like the idea of no tricks, an old ‘what you see is what you get’, maybe! simple tastes easily understandable by anyone and therefore so appreciated. Good point! Beautiful post – wonderful pictures and beautfully written. I have been singing the praises of Italy in my own blog today. Wonderful food, wonderful country. 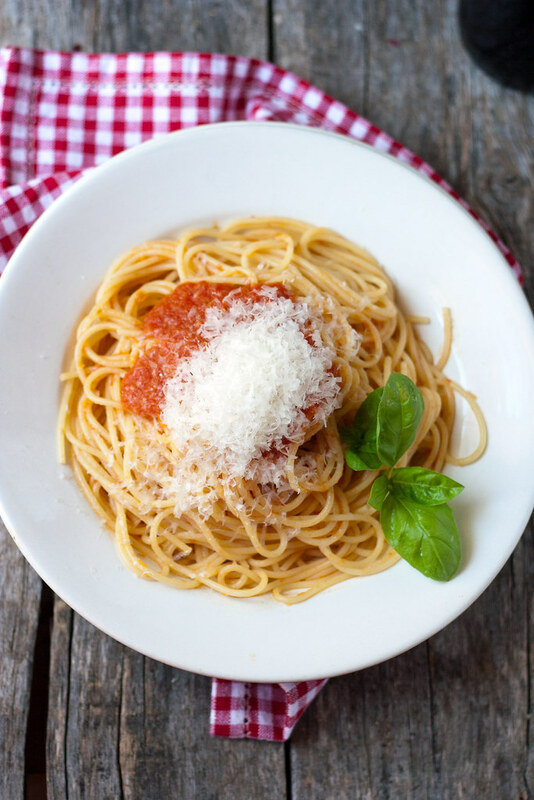 one of my favourite meals in the world is a simple tomato sauce spagetthi with parmesan. I’m watching your mouthwatering photos of my favourite dish and I can’t stop thinking of lunch. 🙂 Although I’m going to eat something else for lunch, this tomato sauce is high on my to-do list. Yum! Or I know even better… we can cook it together in a couple of weeks! 🙂 What do you think? you know how much I would love to cook it together, another Italian cooking lesson step by step via Instagram! 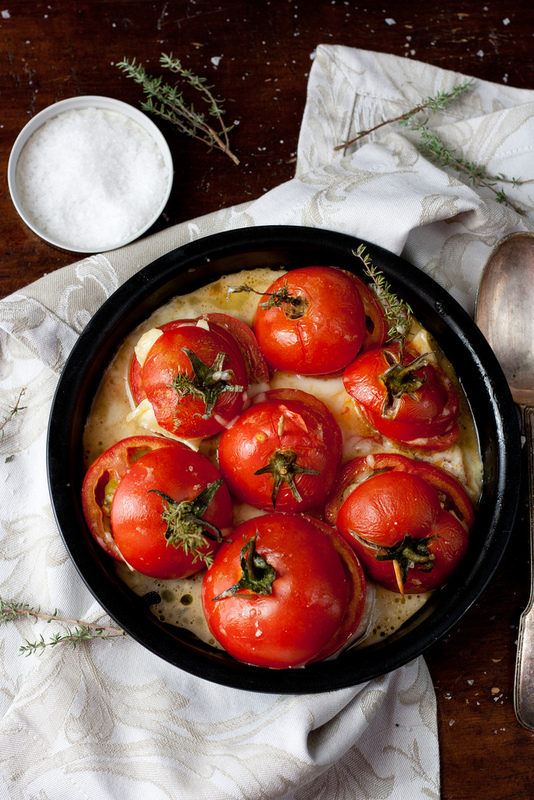 I adore italian cooking, and tomatoes are such a wonderful base for so many dishes. Sadly living in England, and with the summer coming to an end, my tomatoes will more often than not come from tins than fresh from the vine, but I still love eating them! Beautiful post, as always. Thanks for a great recipe and beautiful photos! I love this, Giulia! And I thoroughly agree with Judith above on the fact that it’s the simplicity of the good quality ingredients that are part of what make Italian cooking so wonderful. I also love it because to me, Italian cooking always just makes so much sense. There’s a reason for everything, whether it’s because of the season or the landscape or a tradition. There are these rules that are maybe the only rules that Italians follow (!) that certain ingredients are used together in certain dishes at certain times of the day, month, year… I love it! you always know what to say, I do agree with you, and the concept of rules applied to food… for example, in my family, you can not use any other herb but rosemary with chickpeas and any other herb than sage with beans. Do not even dare swapping the seasoning, you would come into serious problems! It is the truth though, the simplicity of great quality fresh ingredients is what made me fall in love with Italian food. I can eat it every day! and to tell the truth, I had to stop me from eating the sauce with a spoon when canning it! was so fresh and juicy and sweet! Thank you for your feedback! Gorgeous shots! This recipe looks scrumptious too. I love italian food. My favorite dish may not be Italian but I know I’ll always get a good dish when eating Italian. I think like their outlook on life, their food is meant to highlight the no-rush, calm joy and simplicity that comes from fresh ingredients and care/patience in the kitchen. Great post. I’m glad I’ve found your blog! That’s another good point! 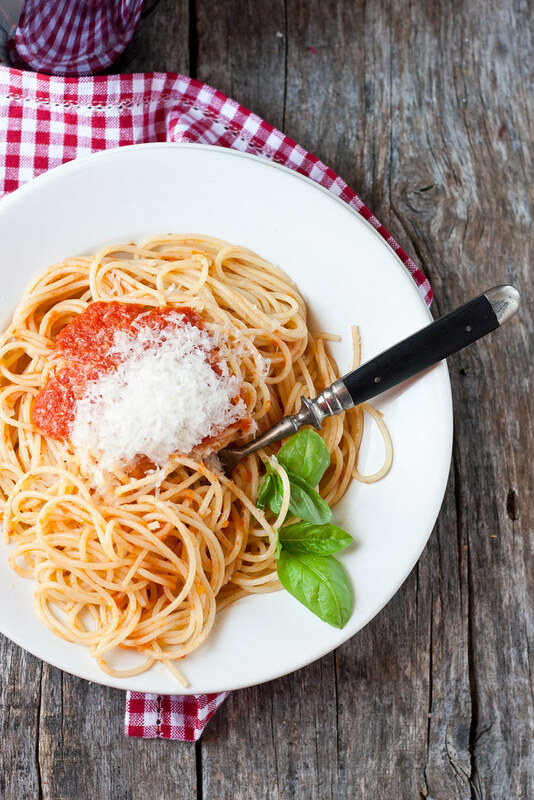 maybe you could be fond of sushi, or chicken tikka masala, but you know you’ll (almost) always get a good dish when you come to Italian food. Thank you for stopping by, I really like you blog! yum yum yum! 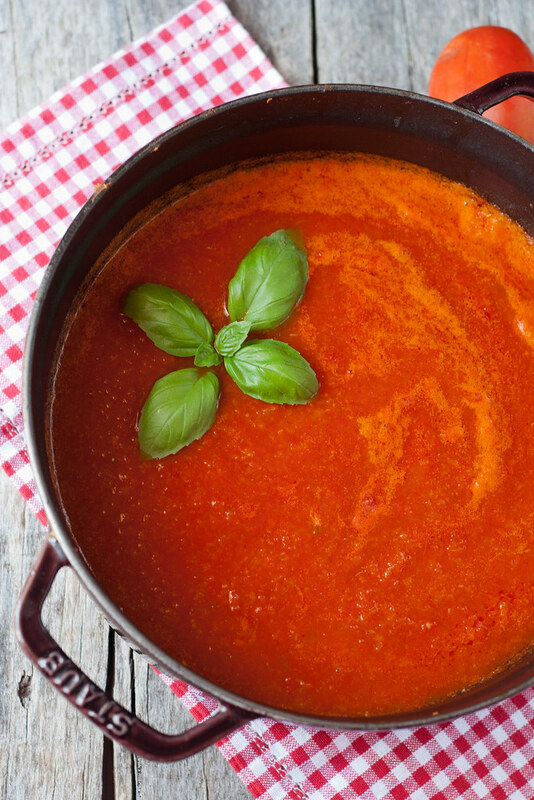 always in need of a good tomato sauce recipe! so now roll up you sleeve and start making salsa! Looks yummy, with all the tomatoes in my store i’ve found a great way to put them to use. Thanks for sharing. Love the photos. 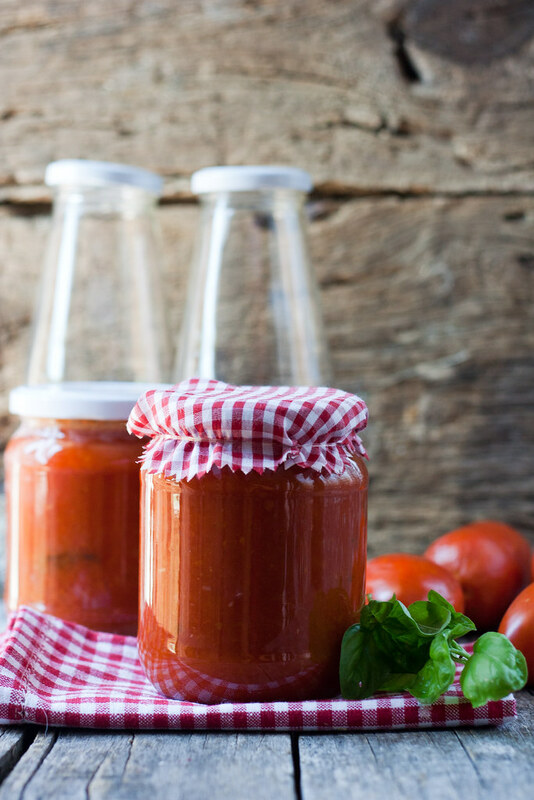 wait till Thursday and I’ll show you another simple yet delicious way to preserve tomatoes! I would soooo love to try this tomato sauce! I just want to eat it with a spoon! I can folow your recipe but it will never taste the same I’m sure. We just don’t have the beautiful quality of tomatoes you have in Italy. Ripened in the sun… amazing. I adore the fact that even with 1 or 2 ingredients you can create an amazing dish. The cornerstones of Italian cooking to me are Tradition, family, pure and fresh ingredients and respect. I think there isn’t Italian cooking without respect. Respect for the Nonna who teached you, respect for the soil where you get your ingredients from and respect for your family who you cook for. we just have to take not of this and we can have a dish of spaghetti with pomarola, grated Parmesan and basil when you visit next year! Thanks to the great experiece of the Master in Food Culture at UNISG I had the chance to talk a lot about these topics with foreign students living in Italy for the first time. I think the fascination of Italian food comes to ritualism, authenticity and awareness. First, it’s food that comes mostly from close by –local markets, butchers, fishermen etc. Second, it’s seasonal, and it helps understanding the passing of time through produce. Third, it’s enrooted in the local culture and traditions through recipes that pass from generation to generation. It gives people a sense of the place, of time, and of the culture they are visiting. Finally, food in Italy means “convivialità”, a word that is hard to translate because culturally determined and specific of our amazing country. Eating is not just eating, it is cooking together, learning, and sharing. I really would love to attend to that Master, sounds amazing!!! thank you for your feedback, truly appreciated! This is perfection in the jar and plate..love this!!! I am salivating as I read this. This is just so beautiful. I’m going to make this too. Thinking what a great gift idea to give a jar to friends! Grazie mille! exactly! all the things that go into a jar can be considered gorgeous and caring gifts for friends! First time here. I am so in love with your blog. I love Italian food, I love the simplicity in its cooking process. My favourite Italian food is Chicken marsala and I am learning a lot about your cuisine now. Glad that I found your blog. Juls, I agree with you. In my opinion, it is primarily the quality and freshness of the ingredients (when making everything from scratch) that appeals to the foreigners. I completely relate to them, and to you both. Here in Croatia, cuisine from the region of Istria is somewhat similar to the Italian cuisine, therefore I truly appreciate this type of food. thank you for your feedback Tamara! I would be co curious to know something more about the Croatian cuisine, it seems to me so fresh and flavourful! your friends are really lucky Paulo! Well, I’ve just finished a dish of spinach tagliatelle with a poorly made pomarola sauce and couldn’t help but google how to make a proper one. As it was my first try it didn’t neither look or taste really good, but at least I know what’s in there! Instead of using some of those packed ones that usually don’t taste very good anyways. I agree that that is absolutely of high matter when it comes to eating good food, such as any italian dish prepared with care and love. Anyways, I’m glad that I came across your blog. Bookmarked. And for sure later this week I will be trying the recipe you describe here! trying is the first very important thing, and trying to do it home made is even better. So congratulations for the first trial and let me know how it will turn out! Just wondering how much water is needed ? What cooking water. 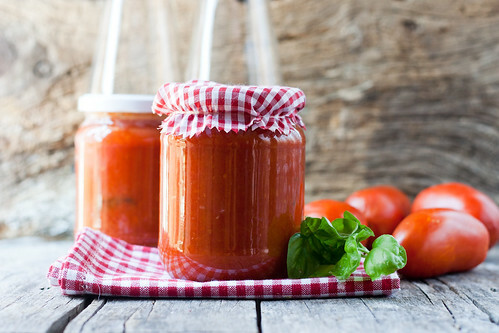 You do not need to add water, it’s the water produced by the tomatoes while cooking!